A Republican state senator surprises Klamath Tribes with move to "regret" the military execution of four Modoc Indians after a long standoff - more than a century ago. SALEM — Nearly 150 years ago, the nation’s attention was fixed on a remote area near the Oregon-California border, where about 50 Modoc Indian soldiers were fending off a thousand U.S. Army soldiers from within a fortress of lava beds. The Modoc War was a “David and Goliath war,” in the words of writer and historian Doug Foster. The six-month standoff that ended in 1873 was then the costliest American-Indian conflict in lives lost and money spent. Girod was so moved by a 2011 documentary by Oregon Public Broadcasting on the conflict and executions that he has proposed that Oregon express regret for the federal government’s execution of Modoc soldiers. The legislation was subsequently amended to read that the state wants to "recognize and honor all those who lost their lives in that costly conflict," and "express (the Legislature's) regret for the expulsion of the Modoc tribe from their ancestral lands in Oregon." Girod’s proposal surprised the Klamath Tribes. Girod represents a Senate district east of Salem. But they’re now strongly in favor of the commemoration and apology. “Acknowledging the truth of wrongs done is a critical first step towards healing those affected,” wrote Donald C. Gentry, chairman of the Klamath Tribes, in a March 26 letter to the Senate Veterans and Emergency Preparedness Committee. While two of the fighters’ sentences were commuted, Kintpuash — known also as Captain Jack — and three other Modoc men were hanged at Fort Klamath, according to a 2001 article about the trial by Foster, published in the magazine Southern Oregon Heritage Today. According to Foster’s article, the trial received substantial media attention. Tupper says the Modoc warriors weren’t given a fair trial. Among members of the Klamath Tribes, their deaths are viewed as murders. After the war, Capt. Jack’s band was forced to what is now Oklahoma, then known as Indian Territory. 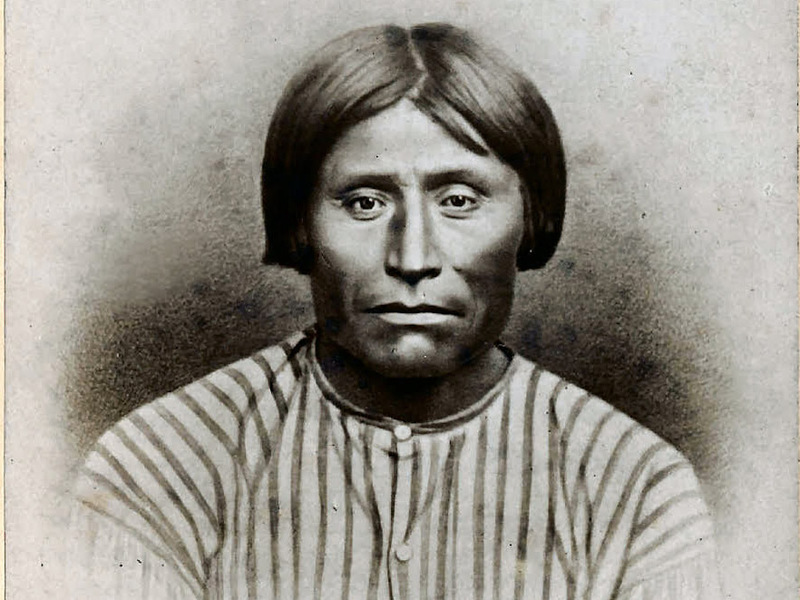 “Though we may share many of the lasting traumatic and devastating effects of the Modoc War and the acts of genocide that occurred before and afterward, they have lived and survived through adversity that the Modoc people who were allowed to stay in Oregon on the Klamath Reservation never faced,” Gentry wrote. During Wednesday’s hearing, where lawmakers took testimony from the public, members of the Klamath Tribes supported the proposal. James’ grandfather and great-grandfather were sent to Oklahoma. Her father, who was born in 1900, was considered a prisoner of war until he was 9. The Modoc War didn’t involve just soldiers. Women and children from the tribe were fending off the Army’s advances as well, Gentry said. The Klamath Tribes regained federal recognition more than 30 years later, in 1986, but the tribes’ land rights were not restored. There appears to be a growing recognition in Oregon — whose state anthem praises the land of “the empire builders” — that history has long been one-sided. Two years ago, lawmakers passed a bill directing the state Education Department to develop a statewide curriculum “relating to the Native American experience in Oregon, including tribal history, tribal sovereignty, culture, treaty rights, government, socioeconomic experiences, and current events,” according the department’s web site. “I have maintained for a long time, some of that, is due to the way that we tell history,” Girod said. CORRECTION: Legislation related to the Modoc War would "recognize and honor all those who lost their lives in that costly conflict," and "express (the Legislature's) regret for the expulsion of the Modoc tribe from their ancestral lands in Oregon." An earlier story by the Oregon Capital Bureau incorrectly cited a previous legislative draft in reporting that the Legislature was moving to regret the execution of four Modoc Indians. ﻿ For the latest news, follow the Enterprise on Facebookand Twitter.